Rabbit arrives at his burrow one day only to discover that a Giant Jumperee has taken up residence in there, and it wants everyone one to know it's as scary as can be. Rabbit’s friends Cat, Bear and Elephant all come to help, but no one is brave enough to enter the burrow. Finally, Mama Frog saves the day by using a technique that many preschoolers will recognise: she counts to three to make the Giant Jumperee leave Rabbit’s burrow. The unexpected culprit is sure to make children giggle. Julia Donaldson has teamed up with Helen Oxenbury, illustrator of ‘We're Going on a Bear Hunt’ in this new read-aloud which is bound to become a classic. The story is written as a rhyming/non-rhyming hybrid with only the Giant Jumperee’s dialogue delivered in rhyme. 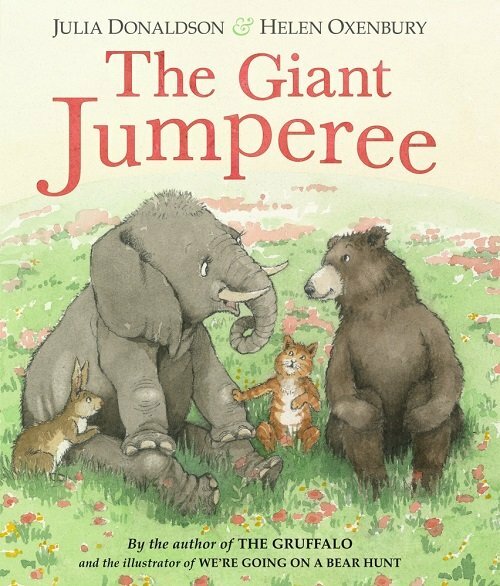 The plot and repetitive text are for perfect for engaging a young audience as children try to predict what the Giant Jumperee will look like. This story uses a range of action verbs, making it perfect for expanding children’s vocabulary. It’s also an ideal choice for targeting the conjunctions ‘and, but, and so’ as these are used repetitively throughout the book. For further speech and language targets in The Giant Jumperee, see the list below.